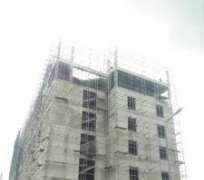 Many c0nstruction workers are feared trapped in a 7-storey building that collapsed in Port Harcourt Friday evening, the News Agency of Nigeria (NAN), reports. NAN reports that several construction workers were at the site when the building, located at Woji Road in the Government Reserved Area (GRA), of the city, collapsed. An eye witness account indicated that the building “just collapsed on the busy workers”. “We are doing our best to save as much lives as possible,” he said. When contacted, Mr Martins Ejike, South-South Zonal Coordinator of the National Emergency Management Agency (NEMA), said that the agency's officers were participating in the rescue operations.